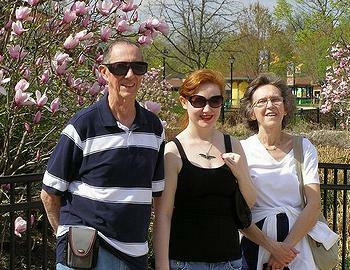 ASHEVILLE, North Carolina, April 10, 2012 (ENS) – Record-high temperatures prevailed across the eastern two-thirds of the nation in March, adding up to the warmest March for the lower 48 states since recordkeeping began in 1895, the National Climatic Data Center reports. 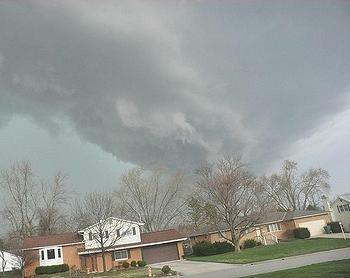 The first quarter of 2012 was also the warmest on record; and the early March tornado outbreak across the Ohio Valley and Southeast, which caused 40 fatalities, is year’s first “billion dollar disaster,” the center said. Every state in the nation experienced at least one record warm daily temperature during March, and more than 15,200 warm temperature records were broken during the month, says the Asheville-based center, which is a part of the National Oceanic and Atmospheric Administration, NOAA. The average temperature of 51.1°F was 8.6 degrees above the 20th century average for March and 0.5°F warmer than the previous warmest March in 1910. Of the more than 1,400 months, or 117+ years, that have passed since the U.S. climate record began, only one month, January 2006, has seen a larger departure from its average temperature than March 2012. There were 21 instances of the nighttime temperatures being as warm, or warmer, than the existing record daytime temperature for a given date. A persistent weather pattern led to 25 states east of the Rockies having their warmest March on record. An additional 15 states had monthly temperatures ranking among their 10 warmest. That same pattern brought cooler-than-average conditions to the West Coast states of Washington, Oregon, and California. March was a wetter than average month across the country. The nationally-averaged precipitation total was 2.73 inches, which is 0.33 inches above average. The Pacific Northwest and the Southern Plains were much wetter than average during March while drier-than-average conditions prevailed in the interior West, Northeast, and Florida. Colorado had its driest March on record. As of April 3, according to the U.S. Drought Monitor, 36.8 percent of the contiguous United States was in drought. That percentage is down from 38.7 percent at the end of February, but it represents an increase from 28.8 percent a year ago. Above-average precipitation across the Southern Plains improved long-term drought conditions Texas, Oklahoma, and Kansas. Warmer-than-average conditions across the eastern United States created an environment favorable for severe thunderstorms and tornadoes. According to NOAA’s Storm Prediction Center, there were 223 preliminary tornado reports during March, a month that averages 80 tornadoes annually. The majority of the tornadoes occurred during the March 2-3 outbreak across the Ohio Valley and Southeast, which caused 40 fatalities. Total losses from this event are estimated to exceed $1.5 billion dollars, making this the first event of 2012 to exceed one billion dollars in damages and losses. On March 9, a large weather system impacted the Hawaiian Islands, bringing extreme rainfall and severe thunderstorms. A rare EF-0 tornado hit the towns of Lanikai and Kailua on Oahu, causing minor damage. Temperatures in Alaska during March, which are not included in the contiguous U.S. average value, ranked as the tenth coolest on record. 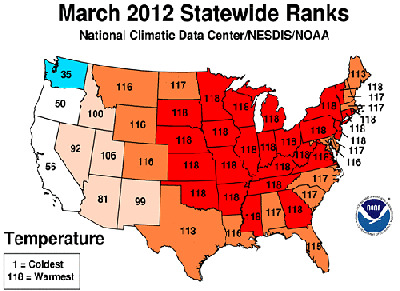 March was not the only period of record warm temperatures across the country. The first three months of 2012 were also record warm for the contiguous United States, with an average temperature of 42.0°F, which is 6.0°F above the long-term average. Twenty-five states, all east of the Rockies, had their warmest first quarter on record, and an additional 16 states had first-quarter temperatures ranking among their 10 warmest. Numerous cities had a record warm January-March, including Chicago, Boston, and Washington, DC. No state in the contiguous U.S. had below-average January-March temperatures. Alaska had its ninth coolest January-March period; temperatures were 5.2°F below average. The nationally-averaged precipitation total for January-March was 0.29 inches below the long-term average. States across the Pacific Northwest and Southern Plains were wetter than average, while the Intermountain West, parts of the Ohio Valley, and the entire Eastern Seaboard were drier than average. NOAA’s U.S. Climate Extremes Index tracks the highest 10 percent and lowest 10 percent of extremes in temperature, precipitation, drought and tropical cyclones. For the January-March 2012 period, this index was 39 percent, nearly twice the long-term average and the highest value on record. The cold season, October 2011 through March 2012, an important period for national heating needs, was second warmest on record for the contiguous United States with a nationally-averaged temperature 3.8°F above average. Only the cold season of 1999-2000 was warmer. Twenty-one states across the Midwest and Northeast, areas of the country with high annual heating demands, were record warm for the six-month-long cold season. The National Climatic Data Center calculates that the previous 12-month period (April-March), which includes the second hottest summer (June-August) and fourth warmest winter (December-February), was the warmest such period for the contiguous United States. The 12-month running average temperature was 55.4°F, which is 2.6°F above the 20th century average.